Michel Baudin‘s comments: Thanks to my colleague Kevin Hop for drawing my attention to this story. From the description, these “hackathons” look like Kaizen Events with data scientists in the team. On the one hand, it seems like a way to make IT a participant in the improvement process instead of the obstacle it has been in the past; on the other hand, it also appears to retain the critical short-termism of Kaizen Events. I assume this is not the last we hear of this. Michel Baudin‘s comments: This morning’s New York Times contains an article with data visualizations at varying levels of detail that are far more sophisticated than the usual pie charts and stacked bar charts commonly found in the American press as well as in business presentations and shop floor performance dashboards. The exact meaning of the above chart between the title and the lead of the article is not immediately obvious. After looking at it for a minute or two, you realize that it has a high data-to-ink ratio: it makes a non-trivial point in a flourish-free format that I think Edward Tufte would approve. 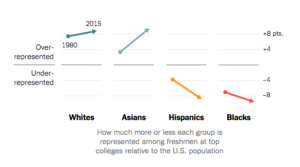 The article is about the relative representation of different groups in the student population of 101 institutions, including the Ivy League, University of California campuses, “top liberal arts colleges,” “other top universities,” and “public flagship universities.” The study compares the proportion of freshmen enrolled from each group to their proportion in the college-age population as a whole. Michel Baudin‘s comments: As usual, I tend to agree with Becky Morgan. In the article’s featured image, I also noticed the learner’s gray hair and his obvious willingness to take instruction from a younger man. It reinforces Becky’s points. When you desperately need a CNC programmer, you are tempted to seek someone with just this skill to fill just this pigeonhole. What Becky says is that, not only are you unlikely to find this rare pearl but, even if you did, it wouldn’t serve you well because the skill in question would be obsolete in 5 years. Instead, she argues, you should recruit team members to learn and grow with the company. The purpose of graphics for data visualization is communication, not decoration, which is often forgotten in publications as well as on company performance dashboards. A case in point is the chart on yesterday’s cover of the New York Times. It shows that solar energy currently accounts for more than twice as many jobs as coal. 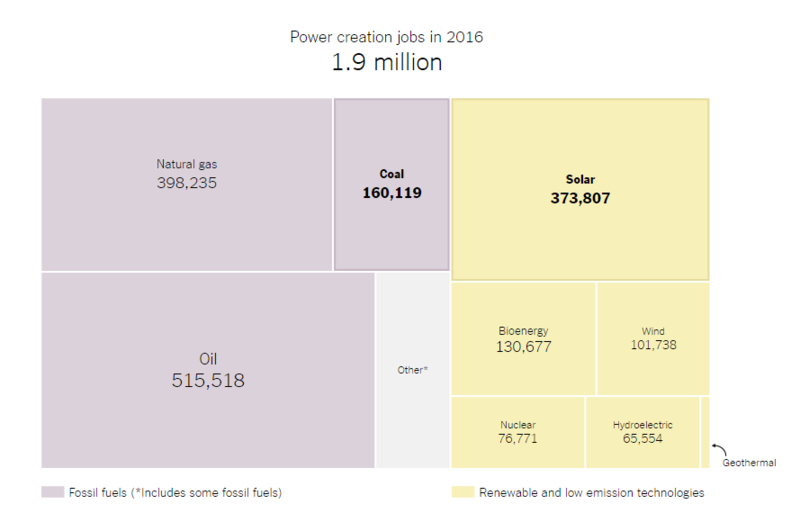 It also shows the numbers of jobs in different sectors and uses a color code to mark some as based on fossil fuels versus renewable and low-emission technologies. Until recently, most publications would have used a pie chart. Now, graphic artists have found a way to square the pie chart into yet another style that will most likely trickle down to slideware and office walls, in spite of a low data-to-ink ratio and the use of two-dimensional shapes to display one-dimensional data. 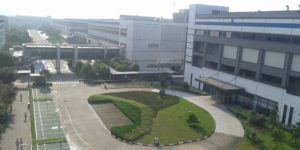 Michel Baudin‘s comments: Thanks to my colleague Kevin Hop for sending me this rare peek into the life of the people who assemble iPhones by hand in Chinese factories each employing tens of thousands of workers. We need to keep in mind that this is the perspective of Dejian Zeng, an American student who was there for 6 weeks, not someone who works there for a living, but it is still informative. While his account wouldn’t make anyone want to embrace iPhone assembly as a career choice, it’s not a horror story. The work is dull and repetitive, and there is too much of it, but it’s not described as dirty or dangerous. I have seen worse in poorly ventilated paint shops and machine shops with slippery floors, and not only in China.